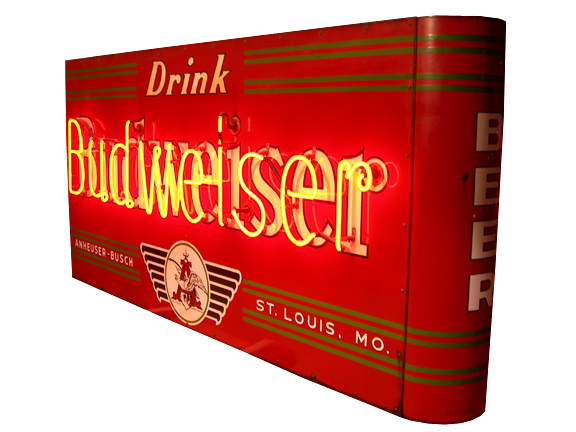 description: A double sided "Budweiser" neon sign with bull nose panel on one end reading "Beer," however the end is not lit by neon. information: The bull nose on one of the ends allowed for the sign to be hung from a building at the other end. This neon sign was originally found in a bar in Kansas City, and is unique to Antique Warehouse, as we have several neon Budweiser signs, but none similar to this.